Finding their roots in dark caves, the underside of bridges, remote rocks and mountains of Norse mythology, trolls have been found in the pages of literature and the bright lights of film. Borrowing a page from the genre, Yggdrasil unlocks these monstrous hordes in their 5-reels and 20 fixed paylines slot, Trolls Bridge, which offers hidden treasure of up to €250,000! Torn from the pages of a children’s fantasy, you are invited to partake in a range of features. This medieval land of castles is cursed – or charmed depending on your point of view! That’s because to reach the castle you must get by the Trolls Bridge. Some of these green and ugly trolls you will meet as they represent four upper-paying symbols. The illustrations are mischievous, not surprisingly as is the orchestral soundtrack, and there is a hint of amusement in their appearance. There are also four poker suit symbols at the lower-paying end. With four trolls living under this bridge, why not have four wilds? The first is the regular wild which substitutes for any symbol when rearing itself on any reel in the base or free spin games. The next three wilds are part of the feature pick. We start with the sticky wild which rears itself only on the second, third and fourth reels. Next, the random wild pops up on each free spin. Finally, the troll wild replaces any one of the trolls. It is possible to trigger 6, 8 or 10 free spins with corresponding 3, 4 or 5 features by landing 3, 4 or 5 scatter symbols during the base game. Prior to the commencement of the free spins, you are presented with 18 cards which you are invited to choose from, the quantity of which we previously explained. These can reveal, 2 or 3 extra free spins, x2 multipliers on wins, 1 or 2 randomly placed wilds on each spin, a sticky wild in the centre position of the second, third or fourth reels, transformation of a troll into a wild or transformation of a troll into a fully stacked symbol. The Golden Bet option, worth its weight in bullion, gives you an extra feature pick at a cost of 5 coins per spin. When it comes to trolls, you ordinarily never quite know whether it’s a poor peasant or a plucked farm animal brewing in the troll’s pot. 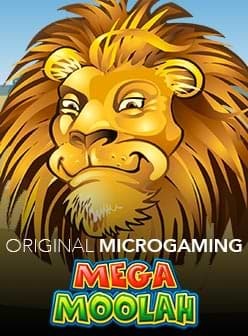 Fortunately, this is not the type of pot we mean when we refer to the Bonus Pot as the only thing brewing here are 6 to 10 free spins or 40 to 1,000 coins. This feature is triggered with the symbol appearing on the fifth reel during the base game. The Bonus Stone can also only be triggered during the base game, at random. It is a nice consolation prize on a losing spin which can equate to anywhere from 100 coins to 1,000 coins. It can also act as a sweetener on a winning spin by applying a random multiplier of x2 to x5. 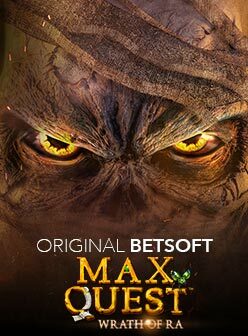 Trolls Bridge slot has an RTP of 96.3% with the Golden Bet activated or 96.0% without, and can be played with wagers of as little as €0.20 to as much as €250. This January 2019 release is a medium variance slot. For some ferocious fun, head down to one of our recommended casinos today!